2 Is Shred Matrix an Effective Weight Loss Supplement? Shred Matrix is a rather unique weight loss formulation. It is hard to find another weight loss supplement with more active ingredients than Shred Matrix. Shred Matrix covers all the basics of weight loss: it contains fat burners, diuretics, appetite suppressant and even supportive herbs and micronutrients. But how effective is the whole combination and who can benefit most from the supplement? Read on to find out. 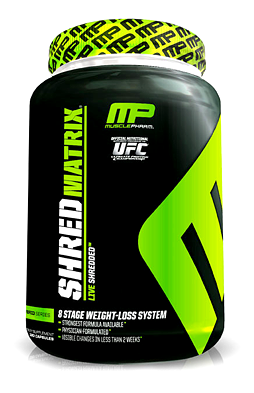 Shred Matrix is a weight loss formulation from Muscle Pharm. It is described as the most powerful fat loss system from Muscle Pharm. Shred Matrix is formulated with multi-system proprietary blend of proven and traditional macro- and micronutrients commonly used in weight loss supplements. The active ingredients are divided up into 8 stages. The active ingredients in Shred Matrix are so diverse that the combination is very comprehensive and powerful. It is no wonder then that Shred Matrix is directly marketed towards body builders and athletes. Even though it is meant to complete high intensity exercise and regulated diets, ordinary people who regular exercise can also enjoy the weight loss benefits of Shred Matrix. Shred Matrix does more than simply suppressing appetite and increasing metabolic rate (the two key features required to drive weight loss), it also includes active ingredients to enhance mood, cognitive functioning, mental focus and energy utilization. The list of the active ingredients in Shred Matrix include niacin, biotin, pantothenic acid, magnesium, zinc, chromium and the 8-stage weight loss proprietary blend. The inactive ingredients of Shred Matrix include gelatin, magnesium stearate and microcrystalline cellulose. To prevent potential allergic reactions and to make the product fit for vegan consumption, Shred Matrix does not contain food products made from milk, egg, shellfish, fish, tree nut, peanut or soybeans. The active ingredients of Shred Matrix placed in this category are guarana seed extract (which provides 22% caffeine), caffeine anhydrous, green tea extract (containing 40% EGCG or epigallocatechin gallate), suma extract, saw palmetto, yerba mate, fo-ti, eleuthero root), cayenne pepper and yohimbine HCl. These active ingredients usually contain natural stimulants or other thermogenic agents that can easily increase the rate of metabolism. They act by increasing the body’s need for energy and by burning stored fat to meet such needs. Caffeine is an essential component of this blend. Besides the 150 mg per capsule of anhydrous caffeine included in this blend, some of the included active ingredients also supply caffeine. For example, guarana seed extract, green tea extract and yerba mate are excellent sources of this stimulant. Caffeine contributes to weight loss by different mechanisms. First, it increases the activities of excitatory neurotransmitters in the brain. To do this, it blocks the actions of adenosine, an inhibitory neurotransmitter. This promotes the activities of epinephrine and norepinephrine. Secondly, caffeine increases the utilization of stored fat. It is a thermogenic agent that encourages the body to use up fat instead of stored glycogen. In this way, caffeine unlocks more energy for the body without increasing blood glucose levels. Lastly, caffeine is a diuretic. It prevents the retention of fluids in the body. Therefore, it can help the body lose some water weight. Cayenne is another thermogenic active ingredient in this blend. It contains capsaicin which has been proven to be effective for preventing the body from regaining lost weight. It does this by shifting the primary energy source from glucose to fat. Yohimbine is another active ingredient of Shred Matrix that can help weight loss. It acts by specifically targeting fat loss in the adipose tissue. It does this by binding to alpha-2 adrenergic receptors in the adipose tissue and by increasing blood flow in the vessels supplying this tissue. In addition, yohimbine prevents the body from winding down the activities of the sympathetic nervous system when the user’s diet changes to low caloric foods. Instead, yohimbine encourages the body to burn up calories at the same rate so that the net effect is weight loss. Therefore, this blend of active ingredients is the reason Shred Matrix induces weight loss by different mechanisms. Even though the body is losing its store of fat, the blend also keeps the energy production level. The active ingredients put in this category include glucomannan root, guar gum, alpha lipoic acid, Gymnema sylvestre, banaba leaf extract (containing 1% corosolic acid), D-biotin, calcium malate, white kidney bean and chelated chromium. These ingredients help increase satiety and suppress appetite. By reducing the calories ingested while still maintaining the body’s energy level, they can prevent weight gain and even promote weight loss. In addition, some of the active ingredients listed above can also improve insulin sensitivity. This directly drives glucose into muscle cells where they are immediately used up instead of stored up. Therefore, the body can fall on its reserve of stored fat to make new energy instead of storing up excess glucose as fat. For example, chromium is a trace but essential micronutrient that is believed to improve insulin sensitivity. The corosolic acid in banaba leaf extract, on the other hand, is an insulin mimetic. Both of these active ingredients reduce blood glucose levels and prevent the conversion of glucose to fat. Biotin or vitamin B7 also plays a similar role. It is usually recommended for improving glucose control in diabetics. Biotin can lower fasting blood glucose levels by as much as 50%. 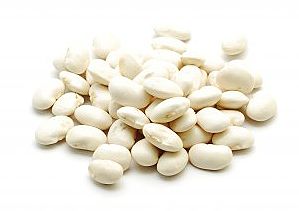 Guar gum contains galactomannan which is related to glucomannan. These are water soluble fibers that bind to and block the absorption of fat from the intestine. They are thermogenic agents that have been proven to reduce serum cholesterol levels, lower glycemic index of diets and stimulate the feeling of satiety. 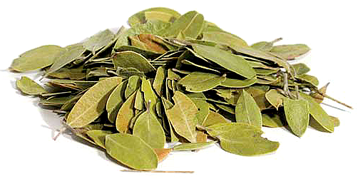 Gymnema sylvestre is mostly known for its anti-sweet properties which are due to a group of glycosides called gymnenic acids. These phytochemicals block sugar receptors in the tongue, and therefore reduce the taste of sugar for as long as 2 hours. Soon, the body loses its cravings for sugary foods which are known to contribute for the amount of fat stored up in the body. The active ingredients in this category are turmeric root/rhizome, Panax ginseng root, 5-HTP from Griffonia simplicifolia seed, Echinacea angustifolia root, garlic, wood betony and astragalus root. These herbs are adaptogens. They help the body overcome stress. They also help improve the mood and mental well-being of the user. This is essential to overcoming the challenging exercise regimen of weight loss programs. 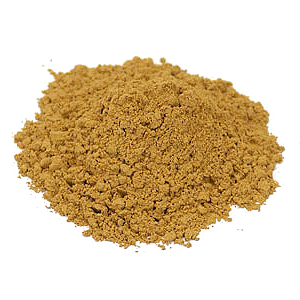 The turmeric included in Shred Matrix is standardized around curcuminoids. The most important member of this group of phytochemicals is curcumin which is currently being investigated in the treatment of a long list of medical conditions. The current interests of researchers into the varied medicinal benefits of this compound is a good indication of its ability to help the body adapt to physical, and mental stress. Ginger is another adaptogen. The active ingredients contained in the herb are known to prevent inflammation. They also inhibit the peroxidation of lipids and the generation of harmful free radicals that follow. 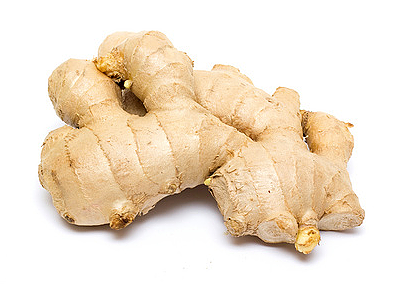 Therefore, ginger can prevent the breakdown of cells and tissues in the body. 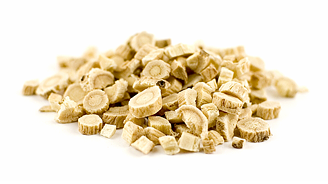 Astragalus provides its own protective benefits at the genetic level. Different studies have confirmed the anti-aging benefits of this herb. The active ingredients in astragalus increase the production of telomerase, an enzyme responsible for repairing the DNA. Lastly, Griffoinia simplicifolia seed is the major natural source of 5-HTP, the precursor of serotonin. Serotonin is an important neurotransmitter in the brain. It improves mood and suppresses appetite and enhances sleep. Therefore 5-HTP can help with weight loss and as help improve mood and well-being. There are 2 active ingredients in this category and they are pyroglutamic acid and papain. Pyroglutamic acid is a rare amino acids found in some proteins. It is also known as pidolic acid, and its sodium salt is used as a moisturizer. 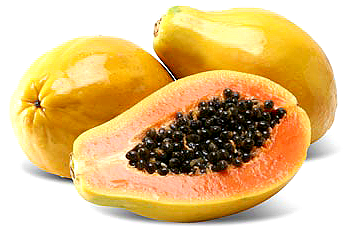 Papain is an enzyme found in papaya. It breaks the peptide bonds of proteins and its chief use is as meat tenderizer. These two active ingredients do have specialized functions. They are both included in Shred Matrix to support brain chemistry. Papain, for example, may help break down amyloid proteins in the brain, and prevent them from accumulating on brain tissue. Proteins such as amyloid proteins are responsible for cognitive decline and neurodegenerative diseases like Alzheimer’s disease. The active ingredients found in this group are uva ursi leaf, dandelion root extract and potassium aspartate. The two herbs are known for their diuretic properties while the potassium salt is added to prevent hypokalemia as potassium ions are lost along with water and sodium ions. This group of active ingredients eliminate excess water from the body. By eliminating water weight, they keep the body lean and complement the other ingredients that burn body fat to give a tight, even and ripped physique. Arctostaphylos uva-ursi is also known as Bearberry. It contains the glycosides, arbutin and methyl arbutin both of which have diuretic properties. Dandelion also contains taraxerol and taraxol which also have diuretic properties. These herbs prevent the reabsorption of water in the kidney tubules. They achieve this by also preventing the reabsorption of sodium and potassium ions. The net result is the elimination of excess water as urine. Unfortunately, potassium ions are also lost along with sodium ions. Since potassium is essential to cardiovascular health, it needs to be replenished. Therefore, Shred Matrix includes potassium aspartate to resupply the body with lost potassium. Although diuresis only has a limited benefit in weight loss, it is no less important. Therefore, this blend of the Shred Matrix is important especially to prevent the muscles from absorbing water as they lose fat. The ingredients in this blend are mixtures of herbs and digestive enzymes. The digestive enzymes include DigeSEB® (amylases, protease blend [I, II and III], lipase, lactase, HemiSEB® cellulase, maltase, invertase, bromelain, peptizyme SP®, papain, alpha-balactosidase), bromelain and rutin NF. The herbs in this blend are ginger root, fennel seed, almond oil powder, dulse algae, alfalfa leaf, chlorella, artichoke leaf, Irish moss red algae, root of wild Mexican yam, apple pectin and kelp. The enzymes in this blend are important for breaking down proteins, carbohydrates and fats. They hasten the digestive process and quickly convert food macromolecules into their simple parts so that the cells of the body can immediately utilize them instead of storing them up. The herbs also contribute to the process. However, they mostly serve the equally important role of satisfying sugar cravings without actually providing sugar. The phytochemicals in those herbs suppress appetite and improve satiety too. The combination of the two effects results in a reduction in the ingestion of more calories, the efficient use of low caloric foods and a tighter control over hunger, blood glucose level and energy production. Is Shred Matrix an Effective Weight Loss Supplement? Shred Matrix is indeed an effective weight loss supplement. In fact, it is an overkill and a super-combination of weight loss supplements. Most users report losing weight quickly and both fat loss and water weight are actively promoted. Other consensus reports from users indicate that the strength of Shred Matrix rests in increasing metabolic rate and suppressing appetite. Users also praise it for providing caffeine with none of the jitters associated with stimulant weight loss supplements. However, Shred Matrix does produce some side effects and more so for those who do not undergo high-intensity exercises. The combination of a lot of ingredients is both the strength and weakness of Shred Matrix. While the combination may be ideal for bodybuilders, they are simply too much for almost everyone else. Indeed Shred Matrix is more than a weight loss supplement. It is also a dietary supplement to support users who partake in high performance activities. With the sheer number of herbs, micronutrients, enzymes and proprietary molecules packed into Shred Matrix, it is most likely that there will be interactions between the ingredients. There is no way to know if such interactions are positive or negative since there are no clinical trials done on the efficacy and safety of Shred Matrix and no FDA approval to seek. Ultimately, ordinary users who simply want to lose some weight may find Shred Matrix to be too much. Such users should avoid this weight loss supplement and instead opt for simpler formulas. Bodybuilders though, have found their magic pill in Shred Matrix.